The lovely uptrend that started on October 3 was able to extend its run on October 4 (and then persisted until October 5). Only three trades were generated on October 4. 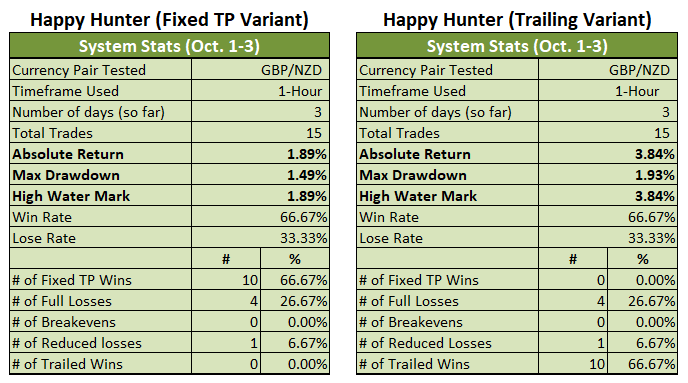 Fortunately, two were winners and only one was a loser, so the Fixed TP Variant came out ahead and is now up by 2.21% for the month (+1.89% previous). 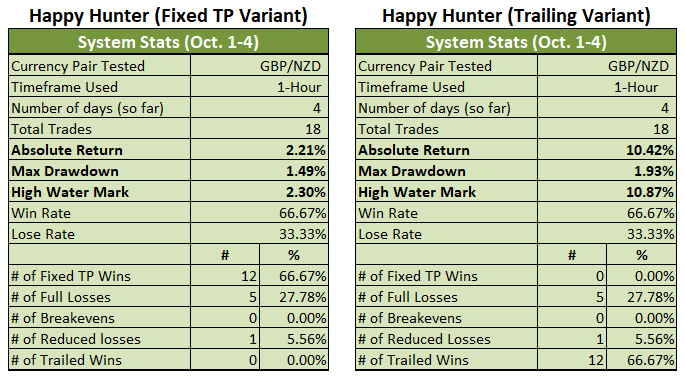 The Trailing Variant, meanwhile, was able to gather an extremely bountiful harvest and is now up by a whopping 10.42% for the month (+3.84% previous). Wowzers! 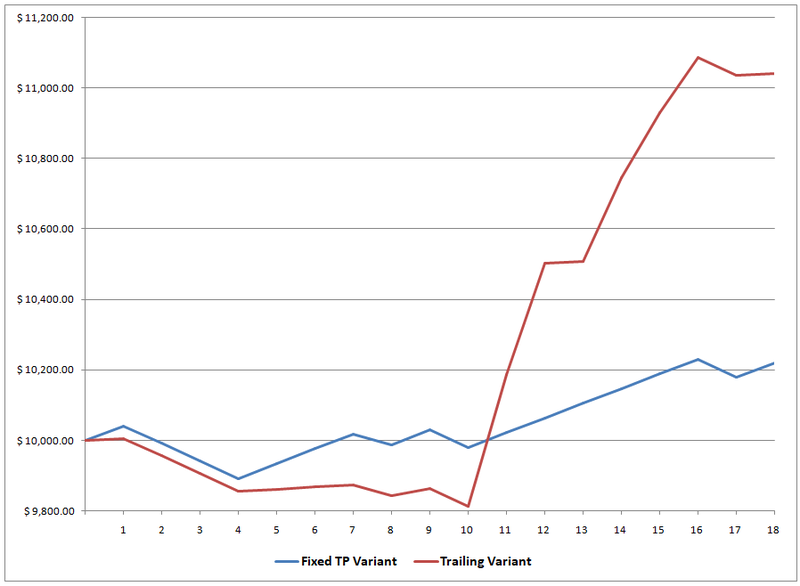 And to think that the Trailing Variant was in negative territory earlier in the week. Oh, do note that the Trailing Variant’s trades # 11, 12, 14, 15, and 16 were all closed out when trade # 17 (a short) was triggered, so that’s as far as they go. Still, 10.42% in just four days ain’t too shabby. 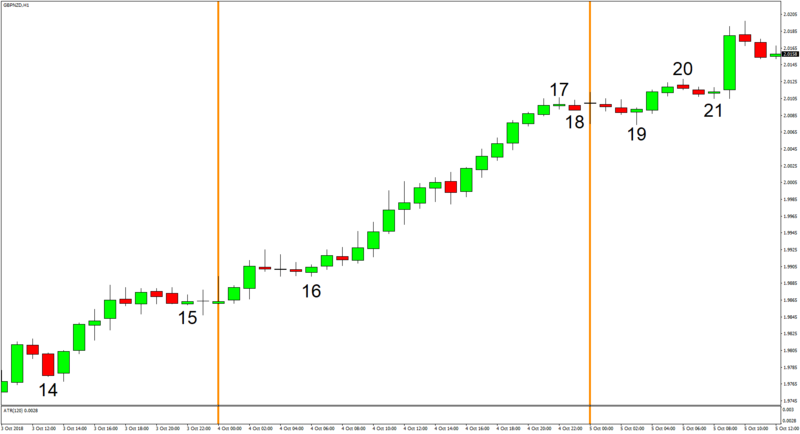 And remember, we incorporate a 12-pip spread in all our trades.